a.) Model Grandmaster 40 incl. 34 premium chessmen in a sturdy box, Euro AC-adaptor, cable for powerbank, documentation EN, 2 year guarantee. b.) Model Grandmaster 40 incl. 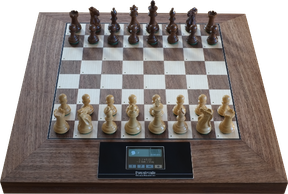 34 premium chessmen in a sturdy box, Euro AC-adaptor, cable for powerbank, documentation EN, incl. lockable case 700 x 500 x 170mm, 2 year guarantee. c.) Model Grandmaster 50 incl. 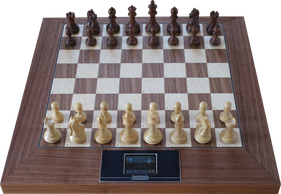 34 premium chessmen in a sturdy box, Euro AC-adaptor, cable for powerbank, documentation EN, 2 year guarantee. You get our order confirmation within a workday. Other countries please ask for our conditions. - You will get a tracking number to check the status of your shipment.